Tooth Decay & Cavities - What Are Options Besides Fillings? In this post, we’ll speak to an article that was recently in the Wall Street Journal on April 11, 2016, “Simple Dental Treatments May Reverse Decay – Some fillings may not be necessary” by Dana Wechsler Linden. 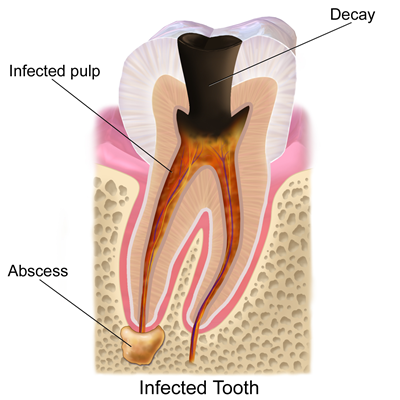 Dental decay is caused by bacteria in your mouth that consumes sugar and produces acid. The acid demineralizes tooth structure creating microscopic pores. Over time these pores can progress into larger “holes,” commonly referred to as a “cavity.” This process generally takes years to develop into a lesion that is large enough to require a “filling” or restoration. If the demineralization is limited to the outer layer of the tooth, the decay can sometimes be “reversed” or “arrested,” eliminating the need for a restoration. This article makes the argument that instead of the traditional “drill and fill” protocol to treating tooth decay, dentists should have therapeutic regimens that attempt to promote the reversal of “growing” cavities. This is a valid point because there is no restorative material that is better than the tooth’s own enamel. In addition, dental restorations do not last forever and often become larger if they need to be replaced, progressively weakening the tooth and potentially causing fracture. Are Fillings Your Only Option for Cavities? Therapeutic regimens include the use of fluoride, xylitol, and sealants. Fluoride is excellent at remineralizing tooth structure and repairing the microscopic pores caused by acid. However, a stronger dose of fluoride is usually required to remineralize these larger lesions than what is found in over-the-counter toothpaste and drinking water. A dentist can apply a topical varnish in office or prescribe a prescription strength fluoride toothpaste which both have a stronger dose. Xylitol, a natural sweetener commonly found in some sugar-free chewing gum, has been shown to limit bacteria from making those acids that cause tooth decay. Dental sealants can be applied to the biting surfaces of teeth to prevent bacteria from inhabiting the grooves where decay is likely to start. A combination of these therapies can be successful in reversing the growth of decay for years and years. At Corner Dentistry, we advocate a preventive approach to dentistry. By taking annual x-rays and having routine checkups every 6 months, we can identify these small lesions before they become “cavities” requiring a restoration. With a combination of good home care, diet, and the therapeutic options mentioned above – the lesions can often stay small for long periods of time!